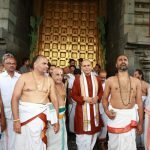 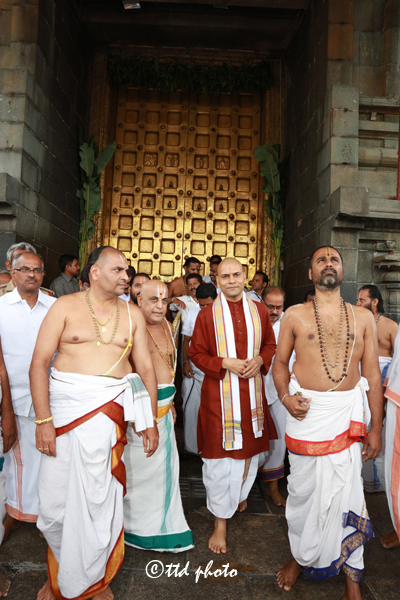 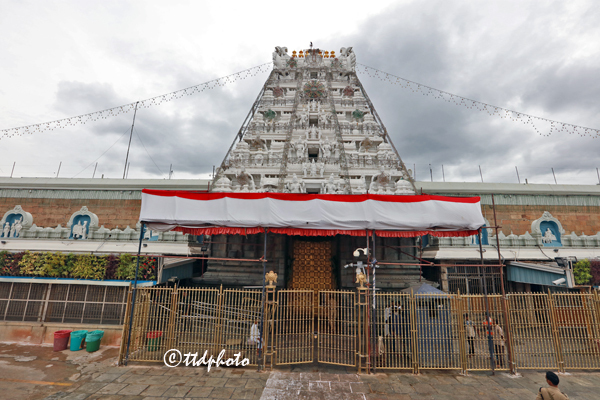 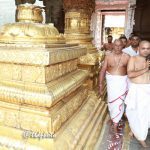 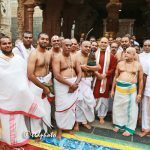 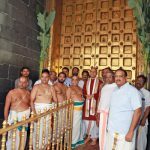 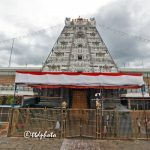 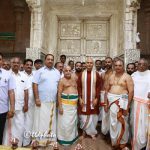 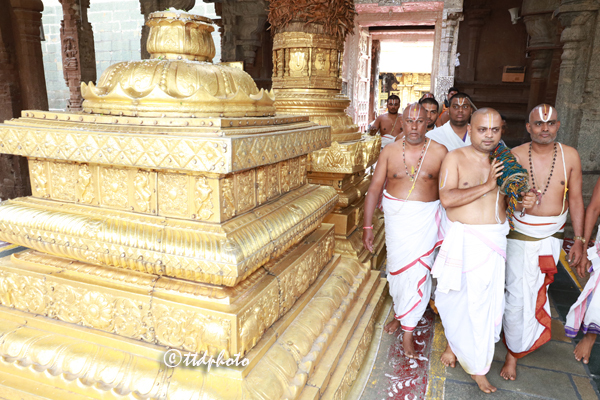 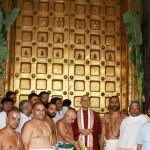 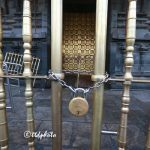 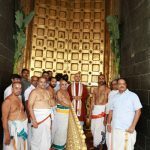 Tirumala, 27 July 2018: The temple doors were closed in Tirumala on Friday evening at around 5pm in connection with lunar eclipse. 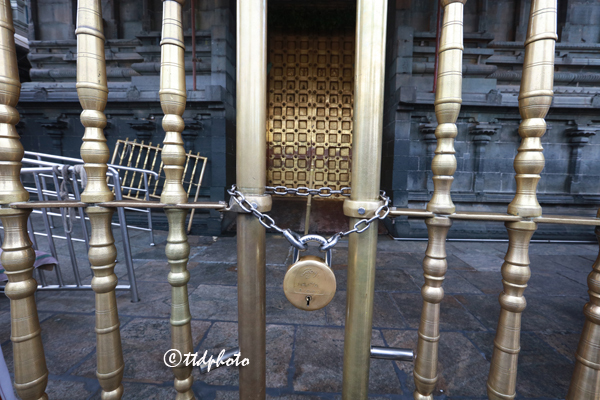 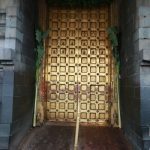 As the lunar eclipse forms between 11.54pm of Friday and lasts till 3.49am on Saturday, the temple doors were closed six hours prior as per tradition. 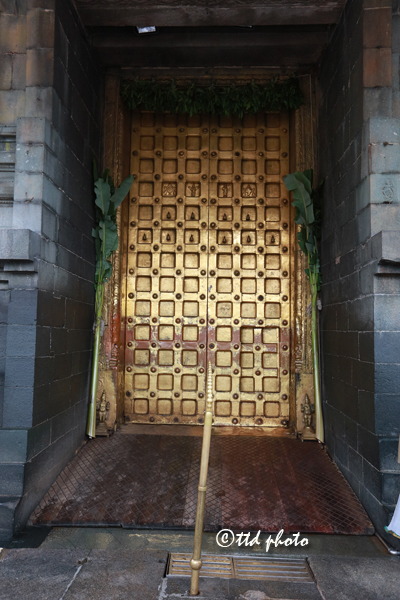 The doors will be reopened on Saturday at 4.15am with Suprabhata Seva followed by other daily rituals after performing Suddhi and Punyahavachanam. 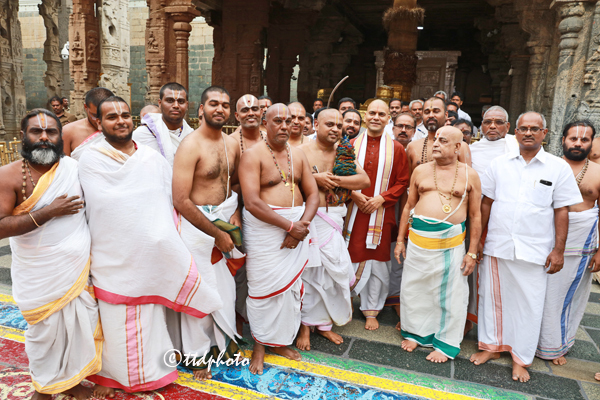 TTD EO Sri Anil Kumar Singhal, incharge CVSO Sri Sivakumar Reddy, Temple DyEO Sri Haridranath, Temple Peishkar Sri Ramesh, VGO Sri Ravinder Reddy, Priests and others took part.